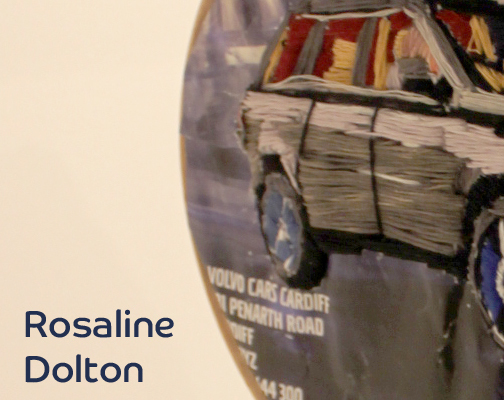 I graduated from Cardiff School of Art, UWIC where I achieved a 1st class degree. My work is primarily sculptural. My work questions traditional gender stereotypes by combing materials such as wool or thread with industrial found objects. I think of discarded objects-such as wooden pallets, crates, and scrap metal- as male because of their industrial nature. I enjoy playing with the traditional ideas of masculinity and femininity by combining soft domestic materials with the hard, manufactured found objects. Recently my sculpture involves sewing into pallets with colourful thread, transforming functional objects into beautiful art works in their own right.